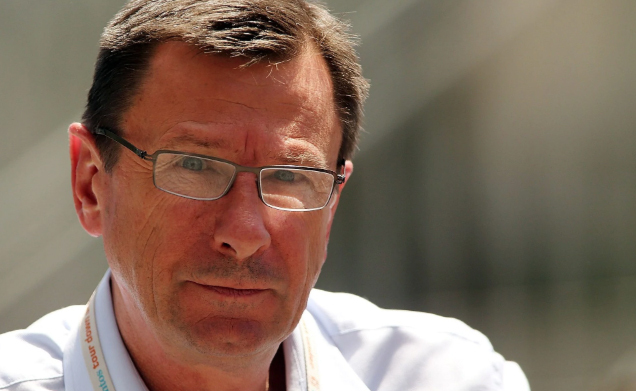 It is with great sadness that we announce the sad passing of cycling legend and Helping Rhinos Patron Paul Sherwen who died peacefully in his sleep at home in Uganda on Sunday 2nd December, aged 62. Early in his career Paul was a professional cyclist, competing in the Tour de France on seven occasions and winning two British national professional road titles, the criterium and road race. But more latterly Paul was better known for his commentating of all the major cycling events around the world. Over the past 33 years Paul has formed and formidable commentating partnership with fellow Helping Rhinos Patron Phil Liggett. The pair have widely become known as 'the voices of cycling' and became an institution commentating on the Tour de France, the Olympics plus many other major cycling events. In addition to cycling, Paul had a huge passion for wildlife conservation. Paul was born in Lancashire, but grew up in Kenya, before making Uganda his home after he reited from racing. This wildlife rich country no doubt played a big part in Paul's love of African wildlife. As well as joining the Helping Rhinos team as Patron, Paul had also held the role of Chairman of the Ugandan Conservation Foundation and was heavily involved with the Karamoja Safari Lodge in his homeland. Paul will be greatly missed by everyone in cycling, in Ugandan wildlife conservation, and by everyone he came in contact with. Our thoughts are with Paul's family and friends, and in particular his 'sidekick' Phil Liggett. Phil commented: "I went to bed in Africa with a heavy heart last night feeling sadness like never before. My team mate for 33 years was no longer with me. Your hundreds of messages showed how well Paul was loved. Let's think of Katherine, Paul's wife and his children with love just now."